IWF - Will Congress Stop the FDA from Going After Our “Milk”? Will Congress Stop the FDA from Going After Our “Milk”? Soy, almond, and coconut milk may soon have to call themselves something else if regulators at the Food and Drug Administration (FDA) get their way. The FDA wants these milk substitutes to stop using the label “milk” because they say it’s misleading since these products aren’t from a cow. Plant-based and non-dairy products have grown in popularity in recent years as Americans have sought alternatives to dairy for various reasons including health, variety, and taste. As a person with a dairy sensitivity, I welcome these alternatives and worry about the FDA cracking down on the name of non-dairy products. I know what I’m buying and most consumers do too. The question is whether this is an effort to protect consumers who really don’t know that plant-based, non-dairy products are in fact not milk, or whether it is to advantage the dairy industry against the competition? "An almond doesn't lactate," Gottlieb said, speaking at the Politico Pro Summit in Washington, D.C. "The question is, 'Have we been enforcing our own standard of identity?' The answer is: probably not." "There are going to be people who make a counter-argument that almond milk should be able to call itself 'milk,' but we do have a standard of identity and I do intend to enforce that," he said. Are people really that ignorant they think almond lactate? When 800 adults were surveyed in 2006, just one identified cows as the source of soy milk. With the proliferation of alternative milk products, there’s even greater awareness that discredits the confusion argument. The real issue may be fear that the dairy industry will succumb to other milk substitutes. Milk consumption has been falling for decades eroded by other beverage and snack alternatives from soda to yogurt. The advent of milk substitutes is a new development, but have taken off. 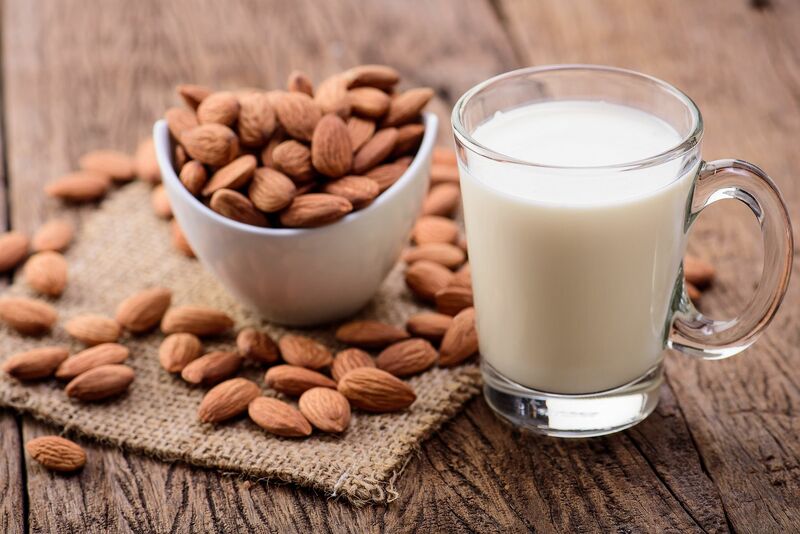 Sales of almond milk alone have grown 250 percent from about 2010-2015. Yet, they still make up only a fraction of the milk industry. Sadly, Congress has sided with the dairy industry. Senator Tammy Baldwin introduced a bill (called DAIRY Pride Act) last year that would ban the use of the term “milk” products that aren’t from a hooved animal. While that bill has not gone anywhere, Senator Mike Lee introduced an amendment that would have protected plant-based companies by blocking the FDA from using government funds to enforce its definitions on all food and drink. Unfortunately, it was defeated. The battle over what can be called milk is not over. The FDA will invite public comments, but hopefully, lawmakers can fight for competition in the milk space and not allow the FDA to use its regulatory power to pick winners and losers in this food competition. Allow consumers to decide what’s best for them. Do you like the stories we’re serving up? Sign up to get blogs directly to your inbox.